At Fulham Primary, we teach the National Curriculum through a Creative Curriculum approach ‘The Inspire Curriculum’, we link all of the National Curriculum Learning Objectives to engaging, fun and inspirational topics like Who’s the Mummy? ‘World War’ ‘The Big Build’ and ‘Let’s Celebrate’. Topic themes run for the half term, pupils are immediately engaged in their new topic by the creative and inspirational ‘hook lessons’ which kick start each new topic. We aim to link as many of the Foundation subjects as well as the Core Subjects like Science and Computing lessons to the topic as we know that cross-curricular learning has the most impact on progress as well as on memories. We use the White Rose Hub overviews to ensure that all Maths National Curriculum objectives are taught in the most effective order and are pitched correctly for our learners. Teachers carefully plan their English lessons using the National Curriculum objectives and the Power of Reading. We aim to link our Power of Reading class novel or picture book to our termly topic. Philosophy for Children & Talk for Writing feature in lessons, helping to ensure that pupils are engaged and active learners. We ensure that all of our pupils are adequately supported and challenged, this process starts with teachers gaining a secure understanding of where are learners are and what they need to do next. We ensure this with regular tracking of pupil progress using Class Track well as systematically assess learning as it is happening through a range of assessment strategies. This helps ensure that teachers can support learners and challenge them. 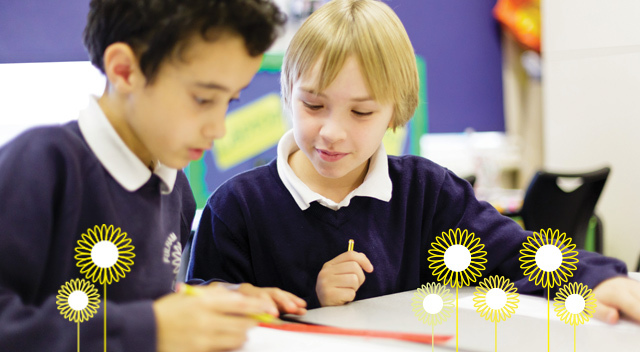 The Primary school offers a structured and caring environment where children thrive in a warm and happy atmosphere.